Lausanne, Switzerland — Considering photovoltaics as a building material in its own right allows it to be used directly during the construction or renovation of a building. These integrated facades and roofs turn buildings into electricity generators and reduce CO2 emissions. 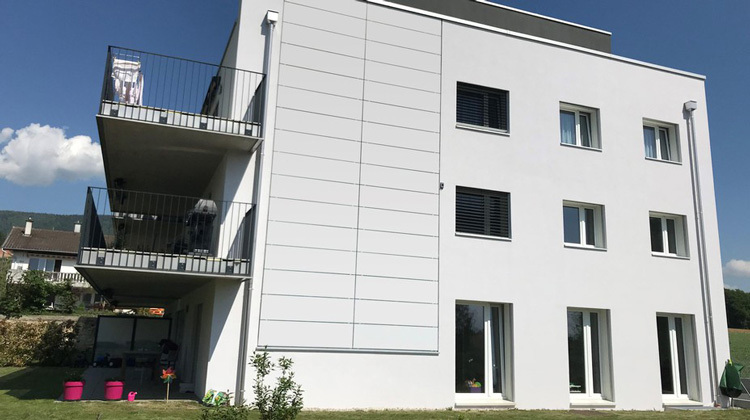 To develop and promote this technology — Building Integrated Photovoltaics (BIPV) — the actors of the European Be-Smart project (https://www.besmartproject.eu) will have to propose multifunctional elements, ensuring the roles of building materials — insulators, noise and aesthetics — and energy generators. They will also work to set up a working methodology for architects and construction companies, as well as drastically lower costs. Be-Smart brings together 15 actors, research institutes, innovative companies, architects and construction companies around EPFL and the CSEM in Neuchâtel to respond to these challenges. Concretely, it is already possible to build or renovate a building by directly integrating photovoltaic elements. In Switzerland, more than 10,000 roofs have already been built in this way, with modules of various sizes, and, more recently, with colors. However, this approach is still poorly adopted and is reluctant. As for the cost, if the integration of photovoltaic elements would cost more during construction, this additional cost would be amortized after a period of 10 to 30 years. This, without taking into account the potential subsidies, the possibilities to resell the electricity produced, as well as the CO2 emissions avoided. The photovoltaic technology used in the project is based on crystalline silicon, which is found on most solar panels. The reliability aspects are central and are part of the project’s objectives, since a photovoltaic panel that becomes a building element must be able to guarantee a service life of 30 to 50 years. Today, the solar energy return time — that is to say the time required for a photovoltaic installation to restore the energy spent during its production — is of the order of one to three years. According to the project’s stakeholders, the massive adoption of this technology for façades and roofs could make it possible to produce a quantity of electricity almost equivalent to that currently consumed in Switzerland.